Wandering the waterfront, that’s me. That’s a shot of Long Island City in the shot above, as seen from North Henry Street in Brooklyn’s Greenpoint. 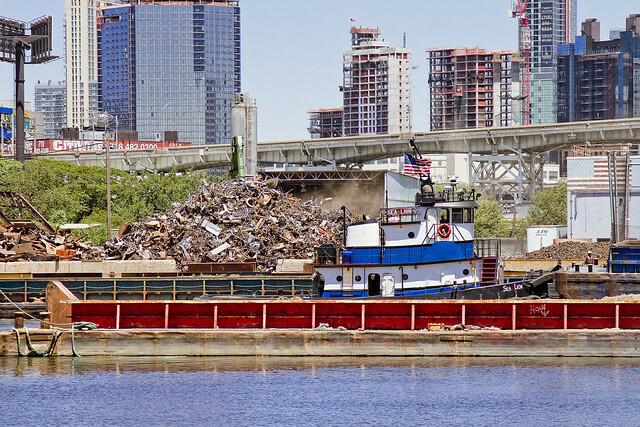 The tug Sea Lion is towing barges of recyclable materials from the City of New York’s Newtown Creek dock. This is my kind of waterfront, incidentally, full of maritime industrial activity with dramatic urban back drops. The skyline behind the Long Island Expressway’s “Queens Midtown Expressway” truss bridge over Dutch Kills is brand new, the modern corridor of a brave new world. 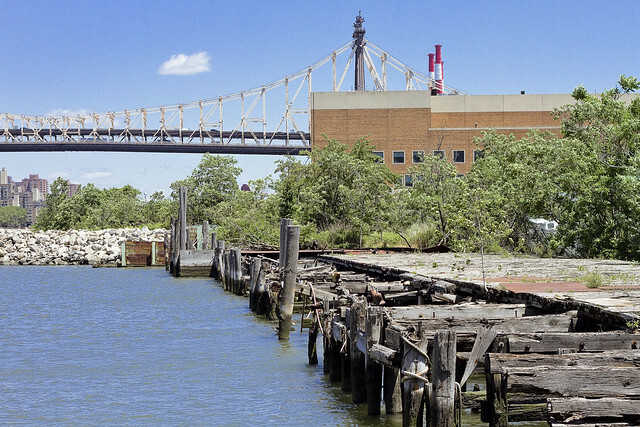 Down on the East River coastline of Long Island City, derelict docks are found. This spot is comparatively far north and west of the mega developments happening along Jackson Avenue and at Hunters Point. This is at the end of modern day 44th drive, which I’m interpreting a century old map as having once been called Nott Avenue. Presuming I’m reading the map correctly, this is the former border between the Queensboro Freight Terminal to the north (whom these docks likely belonged to) and a Standard Oil petroleum facility to the south back in 1919. There’s a restaurant or two found hereabouts these days, and a couple of large footprint municipal operations. Not a waterfront shot, technically, but the LIRR operations at Hunters a Point always had the water in mind – and hey – I kind of like the shot. Why is this post tagged “Brooklyn Navy Yard”? Enquiring minds want to know. Bad housekeeping, basically. 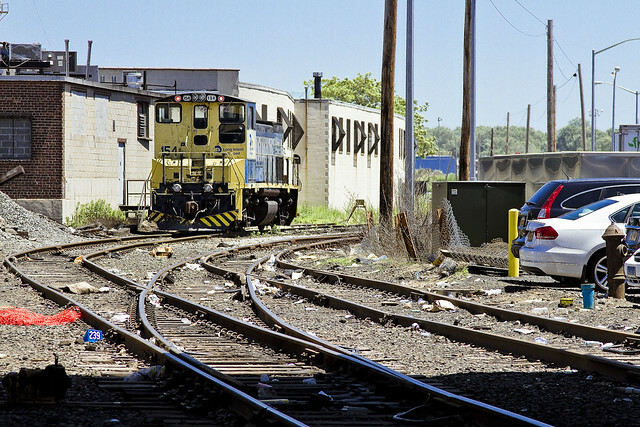 The draft of this post had a navy yard shot in it, which I later realized I had shown before.